After an eight-year bull run with extended equity market valuations, a growing number of high profile and vastly experienced investors are sounding concern about the future health of the stock market. 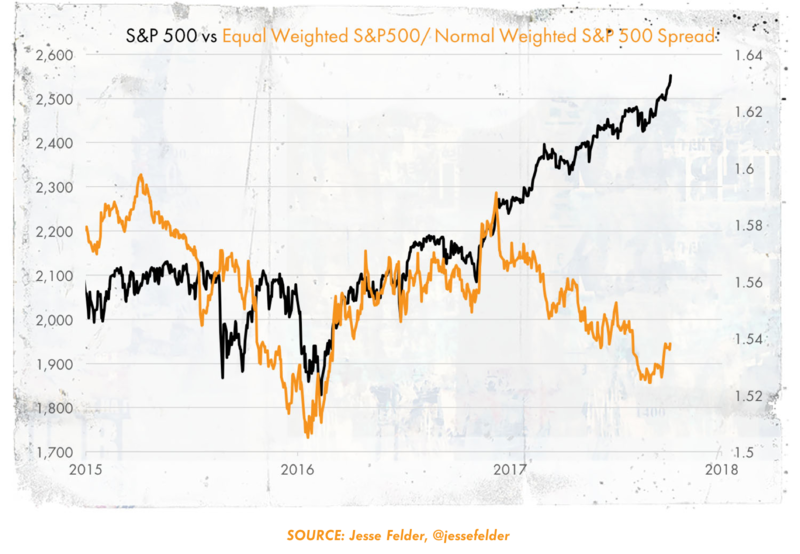 Without a doubt this is the most overvalued equity market in memory and by some reckoning the stock market is running on fumes alone. 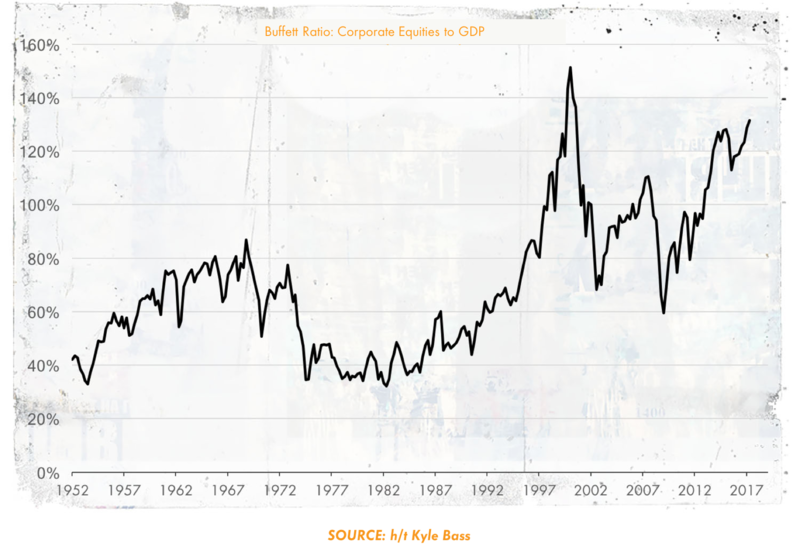 After such a massive bull run and with the Fed preparing to reduce its balance sheet – removing a major prop of support for the stock market – the equity market bubble could be about to pop in a major way. With half the US population already financially marginalized, a major market correction and recession would be devastating. This scenario has been discussed for some time by numerous guests on Real Vision. “It’s a deeply systemic bubble, the markets believe they’ll do anything to keep it going. And that’s just a very dangerous place to be.” Doug Noland, Portfolio Manager at McAlvany Wealth Management. “There is a big risk. The stock market is long overdue a correction. We haven’t had a bear market sized decline in stocks since 2011.” Martin Barnes, Chief Economist at BCA Research. “It’s not a case of whether we will have a financial crisis. “It’s a matter of choosing the name for the next financial crisis.” Mehul Daya, econometrics specialist from Nedbank in South Africa. The drum beat is getting louder and major investors are starting to take risk off the table, including Warren Buffett, who recently took his cash position to an all time high of above $100 billion. Jeff Gundlach, CEO of Doubleline Capital has also been in the news saying it’s time to pull back from risk assets. Indeed, analysts warn that 50% of US households could not cope with another market crash or recession. The situation is even more severe for the baby boomers approaching retirement as most of their investments are in the stock market. A major market correction could wipe out these portfolios without enough time to recover. The bottom line is that we’re at the edge of the cliff for the equity markets. Real Vision is on a mission to make sure people have the tools and information to protect their financial future. In our latest revelatory show Big Story – Edge of the Cliff, we highlight what has brought us to this stage and why a bubble in the post Credit Crisis, Post QE environment is potentially so destructive. With a stellar cast of the world’s best investors including Kyle Bass, Jim Rogers, Mark Yusko and many more, this feature program will examine the real problems facing financial markets and what investors can do to protect themselves. Take a sneak peek at the Big Story – The Edge of the Cliff.